Trade Routes Furniture Collection by Deepa Dosaja Ltd.
Once the stainless steel elevator doors open on the second floor of the MK Plaza in Loresho Ridge, you immediately see the opulently carved doors of the Trade Routes Furniture Collection. Inside I meet Ajay Dosaja, dressed in a smart casual ensemble, complete with a navy blue blazer, as he worked with an assistant to lower a glass top onto a soon-to-be coffee table for a customer. He walks over to greet me, his hands lightly covered with wood dust. “Ninety percent of what you see here is made from reclaimed wood,” he says as he leads me into the store filled with rows of hardwood pieces, highlighted with elephant sculptures, antique candelabras and olive jars. It’s the latest addition to the Deepa Dosaja brand (read more about her here), having opened its doors in November 2016. Oh, no. That mentality is horrifying. Hardwood is like gold and old hardwood in particular is very precious. If you look around today, for instance, all the hardwood we use in this country – the Mvuli and Mahogany – comes from the Congo. That’s not sustainable, because they are just stripping down their forests and we [this country] keep buying it. 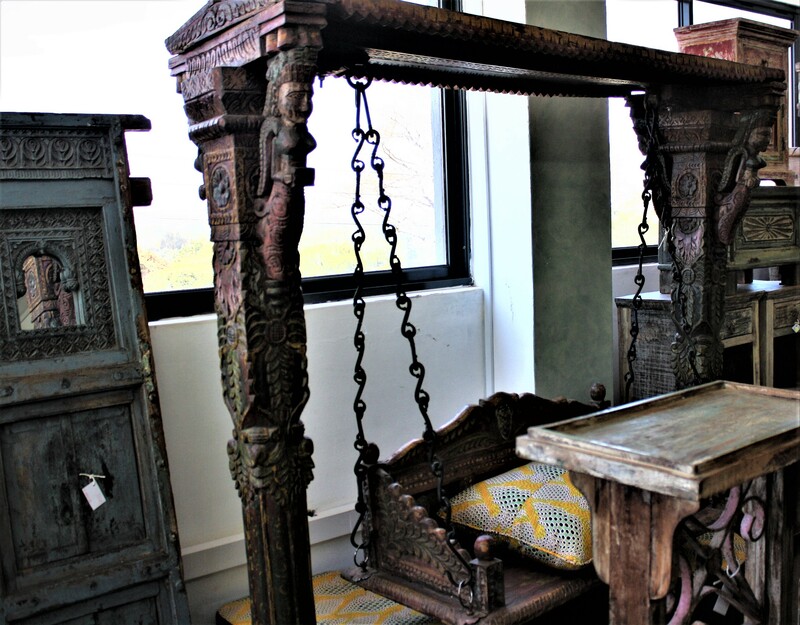 That’s why we decided to start the Trade Routes Furniture Collection (TRFC); all of what you see here today is made in India. Before then you made locally? Yes. At that time I had my workshop with our own artisans who could carve just as well as what you see in the showroom today. 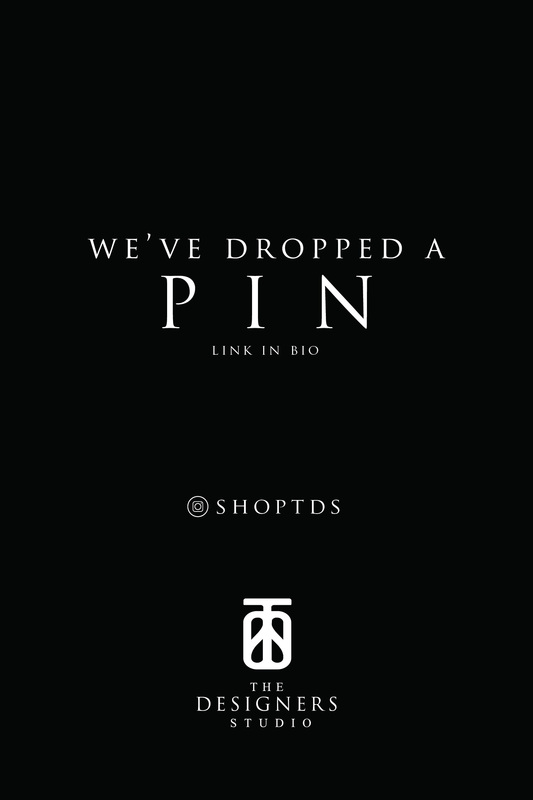 We were making bespoke pieces and although it was only two years old we had to stop doing it here for a couple of reasons. For one, the source for reclaimed wood here basically doesn’t exist. I can’t get ornately carved wood that can be reused here. Secondly, if I was going to use new wood – especially hardwood – you end up using Mvuli from the Congo. I have actually had four-five clients that have backed out of deals with me because they didn’t support the fact that the wood came from the Congo. And we couldn’t use Pine and Cyprus you see at most wood yards because that’s all soft wood. We had to look at an alternative and that’s when I decided to make the switch. 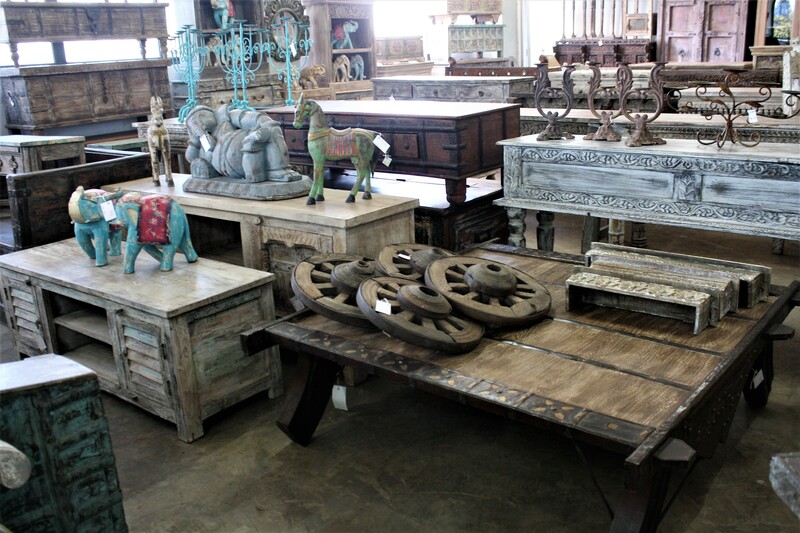 India is known for the furniture you see here. 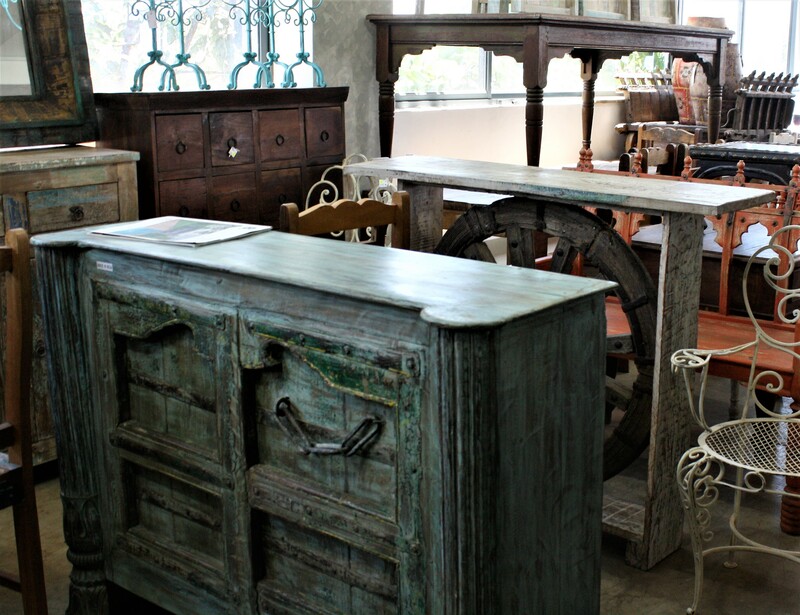 A collection of rustic furniture made of solid vintage, reclaimed hardwoods. 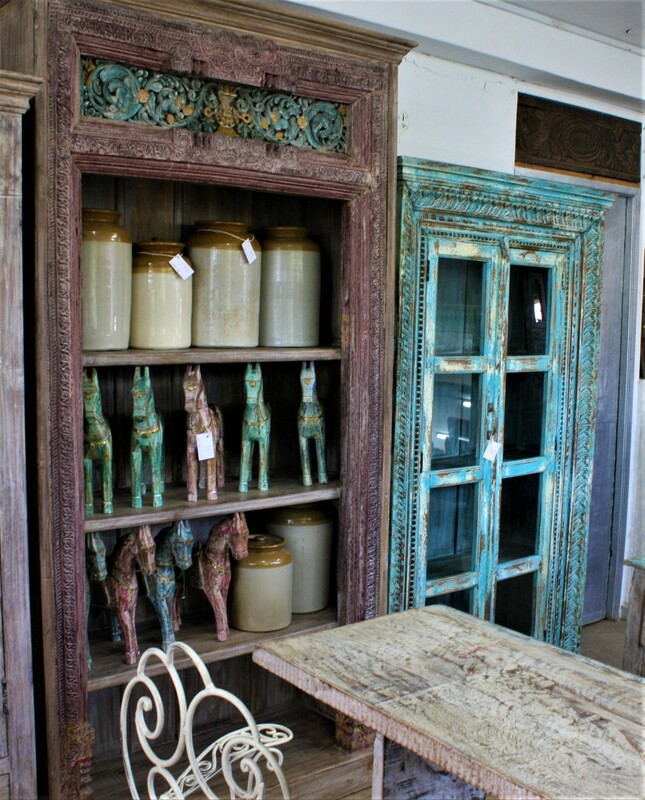 These are pieces such as old doors and windows that are still functional and can be set up in your home. However, there are situations that you get those pieces that are broken and beyond repair. Because it’s old wood, sometimes you may see a piece of the furniture that has become completely weathered, making it very brittle and soft. We have to cut and dispose of that piece, so that piece may not be able to fulfil its original purpose. The thing with wood, especially hardwood, is that you can’t let it go to waste. Something may be broken, but you can easily reuse that wood to make all sorts of things. Therefore, we take the pieces of the door or window that are good and incorporate it into furniture. Take for example one of our consoles here, which has one panel made from a damaged door and the sides were made from old cupboard doors. We also use plantation wood to help complete certain pieces, for example, one piece is made from old window shutters and the rest of it is plantation wood. In India, plantation wood is a large business and it’s sustainable because they have good controls in place that ensure taken wood is replanted. It’s this trading between the West Coast of India and the East Coast of Africa that inspired the name ‘Trade Routes Furniture Collection’. And interestingly, when you look at the old trade and spice routes which have been operational for centuries, you’ll find the furniture style is very similar. Do you have a background in furniture or are you in it simply for the love of it? My parents were in the curios business for years; from the 60s. At one point in my life I had to go work in that business. I’d say that the concept is very similar to TRFC because it’s art. It’s not just a table nor is it just a reproduced Maasai sculpture. It’s a masterfully carved piece. 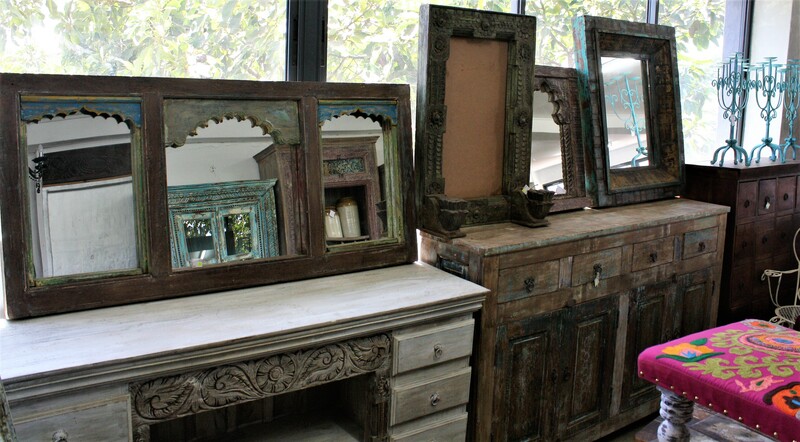 But then Deepa also loves this sort of stuff and the rustic finish to this furniture. She used to pick up a piece once in a blue moon and it was always in your face at home. So when I was thinking that we needed to do something to expand Deepa Dosaja LTD into a lifestyle brand, I thought that a good place to start would be with these unique items. 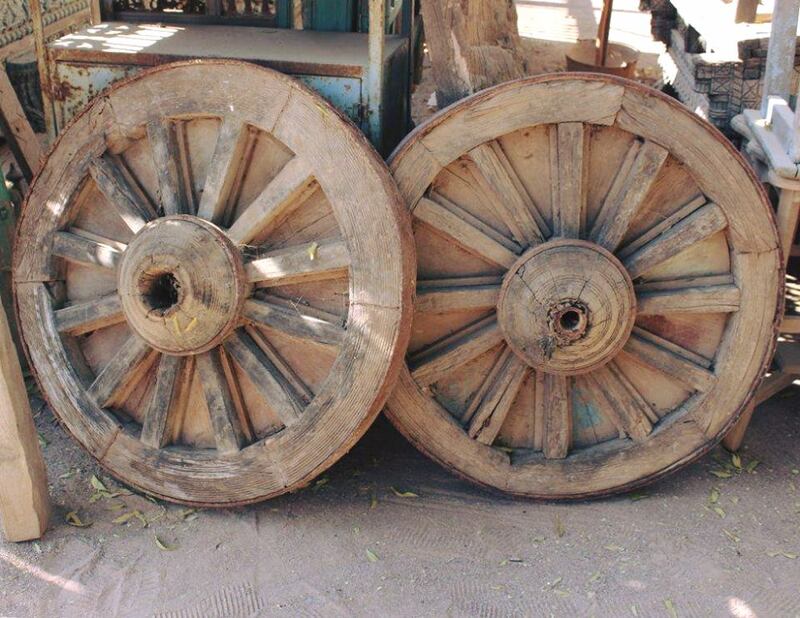 How do you ensure that they are all genuine antiques from India? I have people in India who are trained in the trade. But let’s say you have something like a door, if it’s one of those old vintage doors you can easily tell based on a photo. This is because old wood normally isn’t in the best shape and it needs to be cleaned up. For the pieces that I’m not entirely comfortable with, say for example something comes in and it has a lot more paint on it, they can leave it at the workshop and when I go on one of my frequent trips to India I can look at it in person. But a lot of this business is done on trust. How old would you say the pieces are in general? As I said, all the pieces are made from reclaimed wood. So the pieces itself are new but the components of the piece are very old. 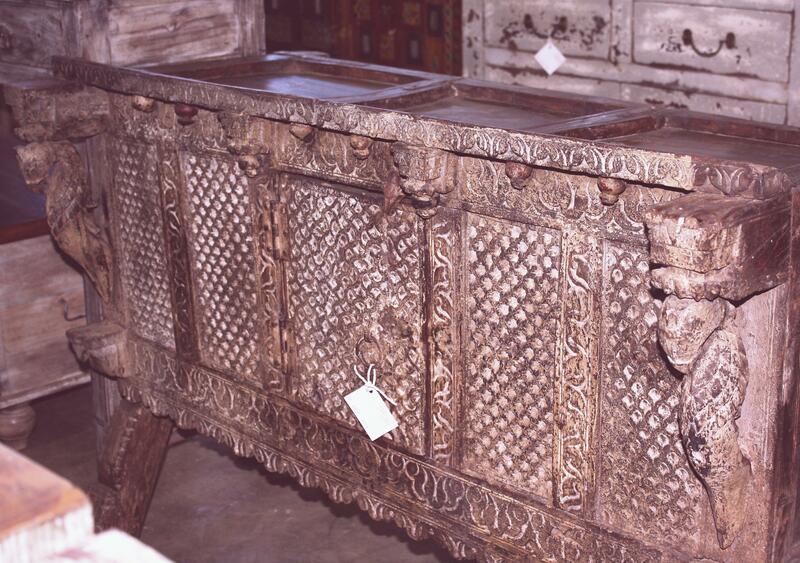 We have a piece here – an Indian dowry chest – which I’m told is over 100 years old. There are a couple of old pieces such as doors from the 1930s and 1940s but after a good clean they look great. You see if a door is used as a door in someone’s home, and it’s made out of hardwood, it’s being cleaned and maintained. But if it’s taken out and left in a yard it will rot and weather much faster. How DO you maintain these pieces? They’ve already been polished with wax. But if they’re going to be exposed I would say you’d need to re-wax more often, say at least every three months. There’s less maintenance if you keep it indoors. All you need is normal floor wax you can get in the store or natural bee wax. Take that and wipe the piece with it. Buff it and it will protect the piece from the elements. I hate using varnish because when it’s exposed and starts peeling, over a period of time it’ll start chipping the paint on the furniture. Is there a piece that speaks to you? Everything does. 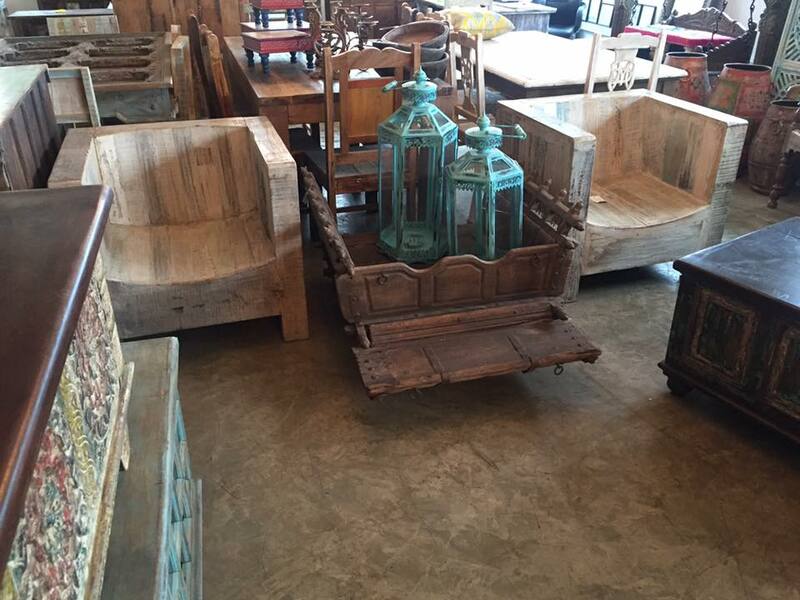 But in this store, the Indian ox cart has to be the most versatile. Because they are so elaborately made, you can take different parts of the cart and make all sorts of things. In this store we’ve made a bench made from the sides of the cart. The seat was made into a coffee table while the yoke made a very intricate bookshelf. There was even a cart that was completely damage that we turned into a planter but can easily be turned into a coffee table by simply laying glass on it. It can be functional or simply a conversation piece. There’s also this door frame whose door panels were completely damaged. I brought the frame with the intention to turn it into a mirror frame for a door length mirror! Do you also take pre-orders? This normally applies to functional things you want to use in your construction, renovation or new house architectural items like these old columns, doors, or windows. We’ve had clients order anything from wanted two cart wheels to put on both sides of their main door, to barrels to make bar counters. Then if they’re comfortable ordering based on images, we source it for them. I send the message out in India and in Lamu but now Lamu has become difficult to find old doors or Swahili furniture. It’s become hard to find the old stuff there and I find that the artisan skill isn’t’ as good as it used to be with the old artisans. That and the hand carvers now are using Mvuli so that rules them out too. Any advice for someone just starting to appreciate rustic furniture? These pieces are timeless and can be incorporated into a modern house. I wouldn’t advise anyone to have everything the same in the house. It’s supposed to be a complimentary piece that speaks for itself but goes well in a modern setting. We’ve even been approached by Villeroy & Boch who want to give us some space to showcase our product in their classic collection. Because this is their antique series, our pieces would complement each other. This furniture is also all about versatility. A dowry chest can become a receptionist desk, a blanket box can be converted to a window seal seating. If the piece speaks to you, we can make it work for your space. In addition, we’ve consciously decided to make it more cost-effective to own functional and exclusive hardwood furniture. For example you could get ornately carved and functional doors between KSh202,000 to Ksh275,000. Deepa Dosaja LTD is certainly taking the strides to becoming a lifestyle brand. 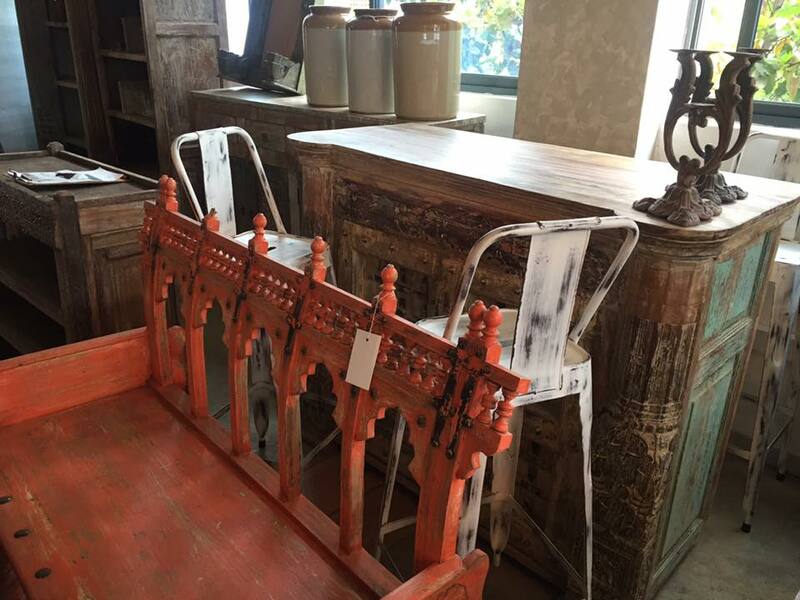 You’ve got the bespoke fashion, the ready-to-wear line and now furniture with reclaimed architectural elements that are rich in heritage. 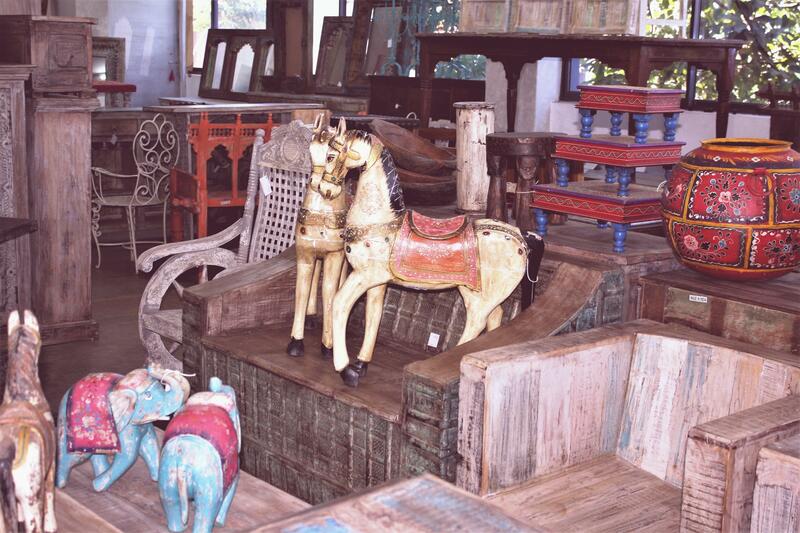 Whether you want to start small with one of their cute miniature horses or decide to take the plunge and go for one of the bigger pieces, you’ll definitely be getting more than just a piece of furniture.